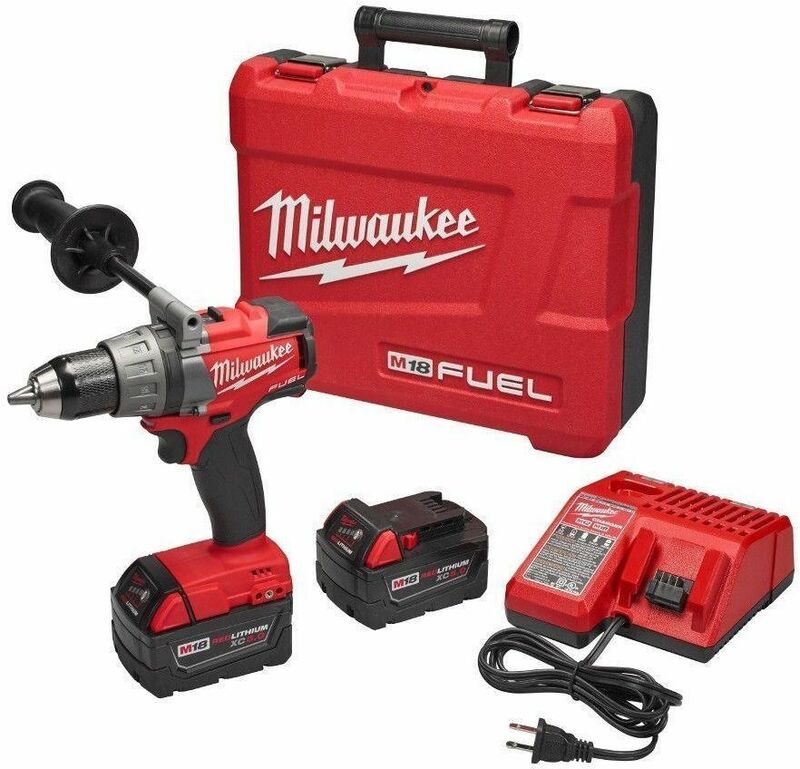 The M18 FUEL Drill/Driver is the Most Powerful 18-Volt cordless drill on the market. At only 7.50 in. in length, it is the Most Compact drill in its class, reducing fatigue when used for extended periods of time and allowing access to tight work spaces. REDLINK PLUS intelligence ensures maximum performance and protection from overload, overheating and over-discharge. The REDLITHIUM XC 5.0 Battery Pack delivers more work per charge and more work over the life of the pack than the competitors. The M18 FUEL Drill/Drivers all-metal ratcheting locking chuck provides maximum grip, bit retention and durability.